It's the morning of your wedding. You might have the jitters or you might be as calm as ever. Either way, wouldn't you be thrilled to get a note from your groom/bride before you see him/her? Surprise your partner with a love note. After all, this will be the last love note that you write before you get married! 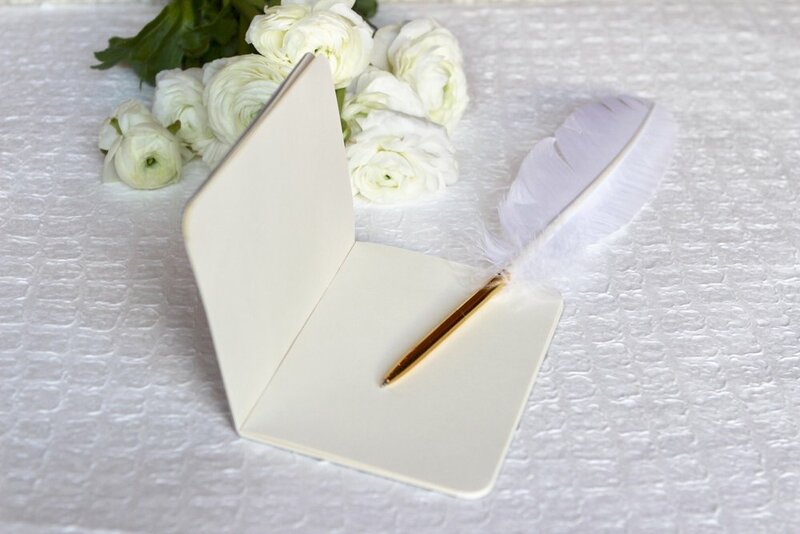 You can even take it a step further and write down some reasons that you want to marry him/her in a beautiful notebook like this one. I rounded up some of my favorite stationary for the wedding day below!